What a fabulous sunny week we’ve had and it looks set to continue for another while, so I’m intent on enjoying every minute of it while I can! I love simple tops and you can never have enough of them in summer to throw on over your white skinnies, skirts or cropped denims. 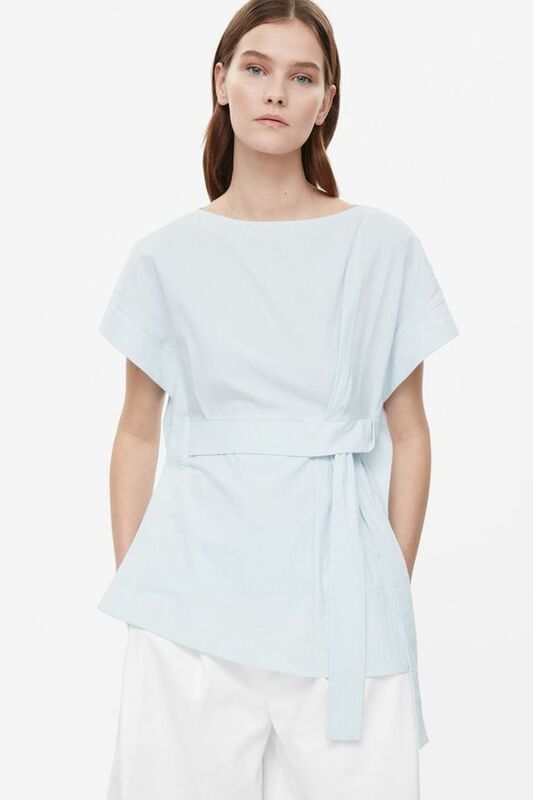 I bought the blue chambray one above in Zara recently and fell in love with the fuller sleeve detail which can be worn casual for day or could easily be dressed up a little for a night out. I found the green jersey off the shoulder one I’m wearing above in a little boutique on holiday in Portugal last year, and it is perfect for keeping cool on warm sunny days. I need some more of this style for everyday wear! Here are a few more summer styles I love…. For dressier wear I love this pretty black lace number from H&M, it would be fabulous for an evening out, especially on holidays and I think it looks way more expensive than the €29.99 price tag. It is also available in white.